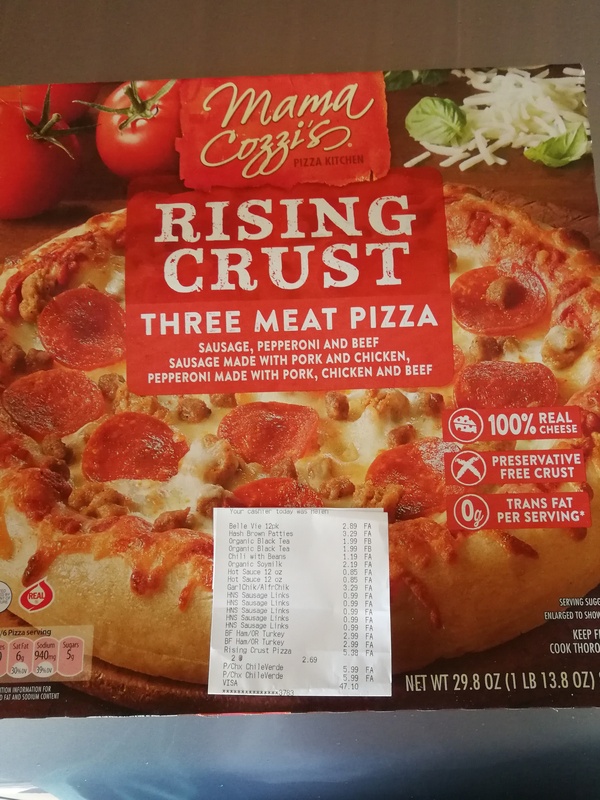 $2.69 for a rising crust pizza at Aldi. And they are good too. Win!